This article appeared on 24 March 2014 in the print and on-line versions of Manila Bulletin's "Angels Talk", edited by Dang U. Koe, ASP Chair Emeritus. A marathon is a long-distance road race that was instituted in commemoration of the fabled run of a Greek messenger from the Battle of Marathon to Athens. Hundreds of marathons are held throughout the world each year, with the vast majority of competitors being recreational athletes -- all running an official distance of 42.195 kilometres or 26 miles and 385 yards. “This is a marathon, not a sprint” is a figure of speech often used when a task requires endurance, consistency and fortitude. And for many autism families, this is a perfect metaphor for our outlook in life, in caring for our loved one with autism. 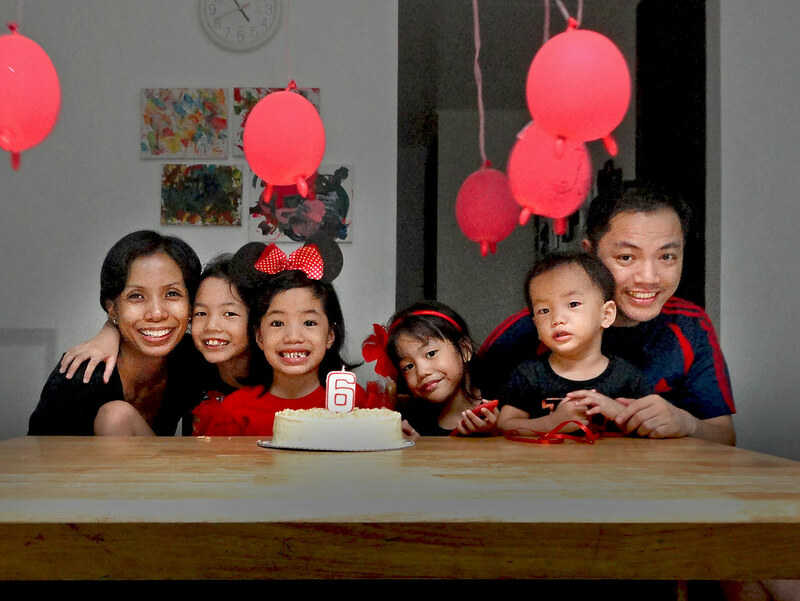 Jah Santander is a devoted wife and full-time mom to Keira, Moira, Tiara and Zachary. When she and her husband Butch decided to run their first marathon, she asked her friends to help keep her inspired, as she ran the challenging race. Friends pledged to donate to the Autism Society Philippines in the event she finished the 42 kilometers -- and this kept Jah focused on her goals. By the end of the race, Jah had raised more than P22,000 -- proof that we all have the power to advocate and to make the world a better place, one step at a time. Get to know Jah, a first-time marathoner and a mighty mom, as she chats it up with Autism Society Philippines’ Mona Veluz, herself a @mightymagulang. Jah (leftmost) shares a precious moment with her husband and children. INSPIRED TO RUN – Jah Santander is inspired to run for miles because she knows that with every step she can help a child with autism. Being an advocate need not be a ”big production number”. It is all about finding a cause that is close to your heart and taking an earnest effort to help out. If you want to get involved in the Autism Society Philippines work to build a society where Filipinos with autism become the best of their potentials -- independent, self-reliant, productive and socially-accepted members of the community, visit http://bit.ly/asp-getinvolved. ASP Las Pinas Chapter invites the public to a free seminar on “Understanding Autism and Children with Special Needs” on April 5, 8 a.m.-12 noon at Our Lady of Pilar Montessori Center, Silver Road, Pilas Village in Las PInas City. Resource speaker is former ASP National trustee Evert Malapad. Limited slots only! For registration, email autismphils@gmail.com. Follow Autism Society Philippines on Facebook.